CELEBRATE THE QUAHOG, ONE OF OUR NATURAL TREASURES. 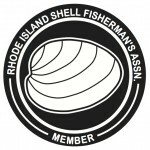 NOTICE: All RI licensed commercial shellfish harvesters are now required to take a Shellfish Harvester Education Course. Go to the link we are providing for full details. AREA B NO LONGER CONDITIONAL AREA!! RI DEM closure information phone line (401-222-2900) is an additional source for closure information. Commercial fisherman David Ghigliotti has made a career out of shellfishing. “This is the best office in the world!” Ghigliotti, Vice President of the Rhode Island Shellfisherman’s Association, owned a boat before he had a car. Important note: If you were born on or after January 1, 1986 you must pass a boating safety course to operate most vessels in Rhode Island. See online links for more information. Intern Video: How To Shellfish. Internship program is now open. Click here for info. OUR INTERNSHIP PROGRAM HAS OPENED UP. Consider making a harvesting day trip on a shellfishing boat to learn about the trade. The program will target students and young people interested in the commercial shellfish business. Please understand this is not like a trip on a Bay tour boat. Narragansett Bay shellfishing boats are usually 20-25 ft, long (as shown in our video) and sea conditions can be a bit rough. Also, many quahauggers steam out early in the morning. You should be ready to share the shellfish harvesting experience. If interested, please contact us at the website email address or the PO Box listed on this site. Important note for future young shellfishers: If you were born on or after January 1, 1986 you must pass a boating safety course to operate most vessels in Rhode Island. See online links for more information. This is a great opportunity for Rhode Island fisherman, the local economy, community, and of course the diners who get to enjoy another great sustainable food product from our Bay that would otherwise be under-utilized and perhaps undiscovered.